The Children’s Hospital Los Angeles Medical Group is the largest pediatric multi-specialty medical group in the United States. The Medical Group physicians are renowned as world leaders in pediatric specialty medicine, including medical, educational and research programs. Many of our physicians are among a select few or the only subspecialist in their field in the nation. Others hold leadership roles in national specialty associations, reviewing publications and serving as decision-makers in how medicine is practiced for the benefit of children now and in the future. Children's Hospital Los Angeles Medical Group is a highly-respected, well-established academic medical group with a wide range of outstanding individual physicians in a broad variety of pediatric specialty areas. We are the largest pediatric multispecialty medical group in the United States. Children from around the world can receive specialized care from more than 550 pediatric specialists in any of 32 specialties and 31 special focused services for complex conditions. Our physicians are based at Children's Hospital Los Angeles, which has been pioneering pediatric medicine ever since it was founded in 1901. In addition, our physicians have been affiliated with the University of Southern California since 1932. They combine a commitment to education and research with a dedication to the highest quality of care and attention to the needs of its patients and their families. 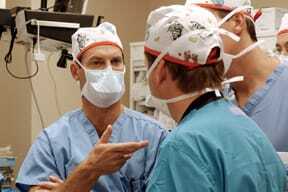 1983 - Seventeen medicine specialties and six surgical specialties were members of the Medical Group. 1991 - The physicians changed the name from Children's Hospital of Los Angeles Medical Group to University Children's Medical Group (UCMG) to reflect the importance of the academic affiliation with the University of Southern California, Keck School of Medicine. 1993 - All of the remaining surgical specialties had joined UCMG and in 1996 the Departments of Radiology and Pathology joined. Since then, membership in UCMG has grown from 75 to more than 400 physicians, 342 of whom are pediatric specialists and 67 are primary care physicians including general pediatricians and adolescent medicine physicians. Today - The Children's Hospital Los Angeles Medical Group is now the largest pediatric multispecialty medical group in the United States. In addition to our stellar achievements in pediatric specialty medicine, we have grown our business services management culminating in the creation of Pediatric Management Group (a physician practice management company) in November 1996. More than 94 percent of the physicians in our group are board-certified in their pediatric specialty or in multiple specialties. Our faculty members are regularly ranked among the leading healthcare practitioners in the nation by their peers, and listed in distinguished publications such as Best Doctors in America and America's Top Doctors. 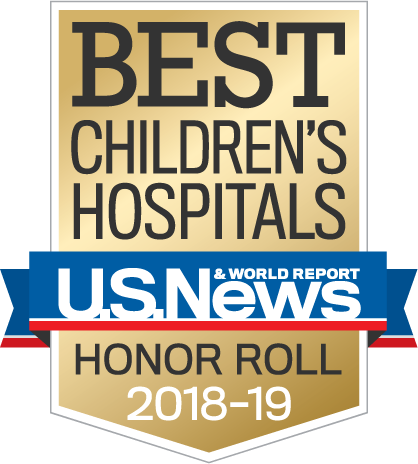 The national magazine ranks children’s hospitals annually for their clinical expertise and patient outcomes in 10 different medical specialties and Children's Hospital Los Angeles was ranked highly in all 10 categories. Children's Hospital Los Angeles Medical Group (CHLAMG) currently has managed care contracts with virtually all the managed care companies and medical groups in the Greater Los Angeles area. The Provider Relations team focuses on establishing lasting relationships between Children’s Hospital Los Angeles, referring providers and their patient families. We are available to assist with navigating services within our hospital. Click here to learn more. 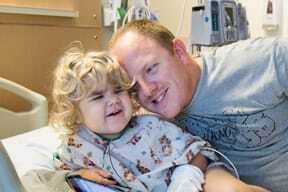 The national magazine ranks children’s hospitals annually for their clinical expertise and patient outcomes in 10 different medical specialties (listed below); and Children's Hospital Los Angeles was ranked highly in all 10 categories. Children's Hospital Los Angeles Medical Group (CHLAMG) currently has contracts with virtually every managed care company and medical group in the Greater Los Angeles area. Click here for a list of health plans and insurance companies that we work with. Please review the listing to be sure your insurance coverage includes CHLAMG. In most cases, since CHLAMG is a medical group itself, our contract would be with the medical groups and not necessarily with each insurance company. So, be sure to confirm that your medical group is on our list. Please be reminded that this listing does not guarantee authorization for services. If you or your child is referred to a CHLAMG physician you must obtain authorization for services from your medical group. If CHLAMG is not currently a provider for your medical group call 323-361-2336 so that we can negotiate a contract with your group. If we can be of assistance with any managed care matters, just call us. We host CME Conferences that provide a comprehensive review of current issues and recent advances in selected pediatric subspecialty areas.